Transportation Association (APTA) from 1996 to 2011. At APTA, he effectively led the organization, guiding it to legislative successes and dramatically increasing federal funding for public transportation. Prior to APTA, Bill served 19 years at the Port Authority of Allegheny County, the principal transit operator serving Pittsburgh, Pennsylvania. As its executive director from 1983 to 1996, he oversaw the development and operation of bus, busway, light rail, paratransit and inclined plane service. He is the founder of Pittsburgh’s award-winning ACCESS paratransit service. Bill has published numerous articles and has often testified before the U.S. Congress. He is a frequent speaker and lecturer at conferences and seminars and serves on the governing boards of several organizations. 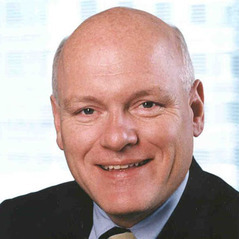 He is currently an adjunct instructor with the Heinz College School of Public Policy and Management at Carnegie Mellon University and a Senior Advisor for Rail and Transit at H.W. Lochner, Inc. Bill has a B.A. from Northwestern University in Geography and an M.A. from the University of Iowa in Urban Transportation Planning and Policy Analysis. He lives in Falls Church, Virginia with his wife, Barbara. 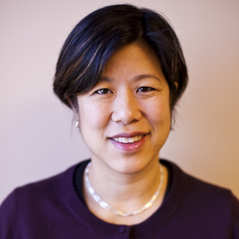 Tilly Chang serves as the Deputy Director for Planning at the San Francisco County Transportation Authority. The Authority administers the Prop K half-cent local transportation sales tax program and is also the designated Congestion Management Agency (CMA) for San Francisco. In her post, Tilly oversees a multi-modal transportation planning program that includes development of the San Francisco Long Range Countywide Transportation Plan and Congestion Management Program. She spearheads several policy and planning efforts including congestion pricing initiatives, multiple neighborhood, station and corridor planning studies, and the development of San Francisco’s first full-featured BRT projects. Tilly previously worked as a Transport Officer at the World Bank, developing urban transportation projects in East Asia. She has also worked in the tech sector and at the Metropolitan Transportation Commission. She holds an M.S. in Transportation from M.I.T. and an undergraduate degree in Economics with a minor in City Planning from U.C. Berkeley.